Before we even started on producing designs for nautical theme collection, we did some research and got even more inspired to work on this. So here’s a little throwback on how nautical theme became popularised. 1) It was Queen Victoria who inspired the nautical trend in the 18th century. She had a child’s sailor uniform made on board the royal yacht for her son Albert Edward, Prince of Wales. 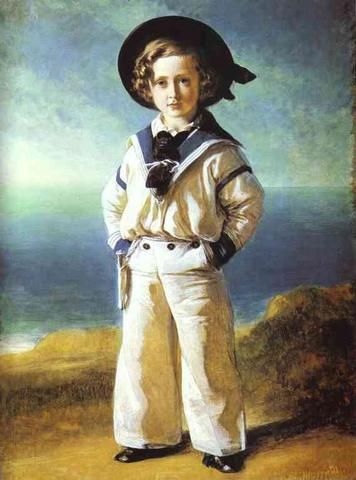 People were very influenced back then, so everyone at the countryside wanted their child to dress in a sailor uniform. 2) From childrens’ wear, the trend got picked up by womens’ fashion. Sailor-inspired swimwear was seen in the late 18th century. 3) In 1917, Coco Chanel opened her shop in the resort town of Deauville on the coast of France where she made the nautical look go viral. Inspired by the classicly simple and comfortable shirts worn by the local fishermen and sailors, Coco Chanel’s designs, with their nautical touches and jersey fabrics, revolutionized the way women dressed. 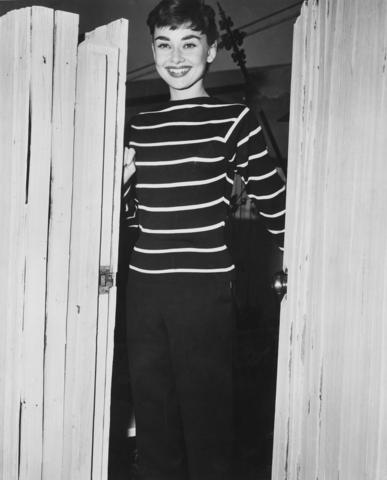 Here, style-icon Audrey Hepburn seen in the classic striped tee. 4) 1960s brought nautical with a twist of Mod. I love this look, its really cute! 5) Fast forward to today, many designers made nautical so modern and chic. 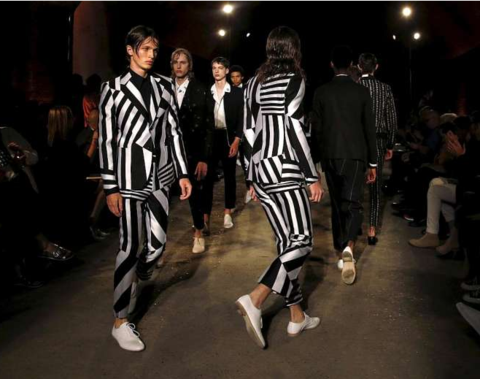 Silhouettes kept simple but playful lines and stripes! Major love, from Marc Jacobs, to Alaxender Mcqueen! For our SS17 Nautical Street, we decided to forgo the cliche anchor and ships prints, sailor kinda look. We played with stripes, added a tinch of red and blue and made it ours. Its been a while since we created a strong, vibrant print like this. We hope these prints will add some variation to your wardrobe, and most importantly fun and colours to your #ootds! 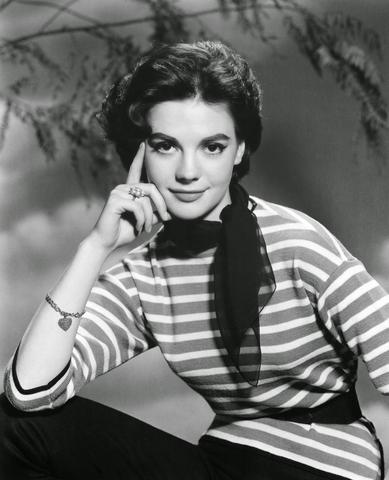 Now lets take a moment to thank Coco Chanel for making a fabulous kick start to stripes! More style tips on next selbsseries, while I experiment on these new prints.